Snow Camp, North Carolina is a historical community in southern Alamance County. The community has a rather large Quaker population centered around the pre- revolutionary era. 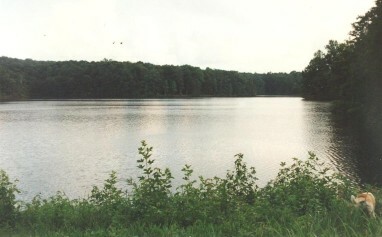 The community was initially called Cane Creek and the origin of the name is disputed. One story is that before the American Revolution a group of hunters camped there during a snowfall. Most residents insist that General Cornwallis camped there during a snowfall around the time of the Battle of Guilford Courthouse. Snow Camp is also noted for our outdoor theater. The dramas Sword of Peace by William Hardy and Pathway to Freedom by Mark R. Sumner; both look at local Quaker involvement in the Revolutionary War and the Underground Railroad. Cultural education is provided with the annual Youth Drama Camp, the Molasses and Colonial Living Festival, the Children’s Theater Tour, and the Historical Site itself. Please visit their website: http://www.bizamajig.com/entrance-public-section.asp?primary_doc_group_id=44047&doc_id=194682. 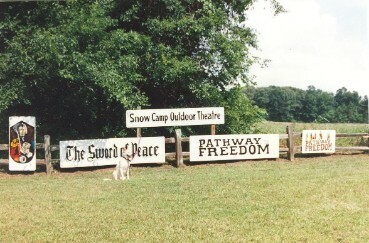 This Snow Camp sign is at the crossroads of Snow Camp Road and Greensboro Chapel Hill Road. This shows that even though the area is rual, it's within an hour of Chapel Hill, Greensboro, Raleigh and Durham. This is one of the entries to Drama Road, where the outdoor theater and many outings are held. 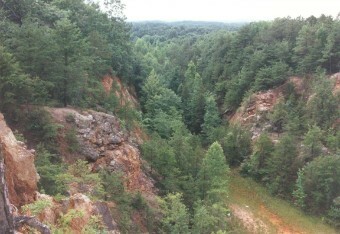 This is a photo of Soapstone Lake and an old soapstone mine nearby. 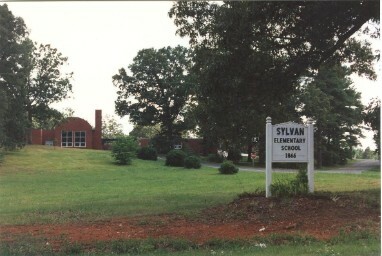 Sylvan School is the oldest public school in North Carolina; founded in 1866. 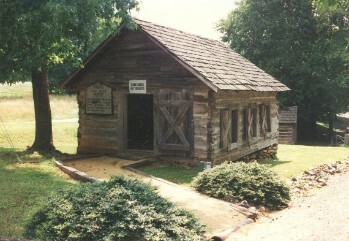 Cane Creek Meeting House, erected in 1751. 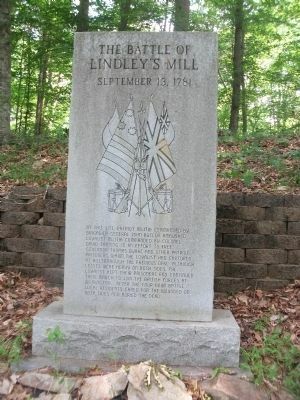 The Battle of Lindley's Mill (also known as the Battle of Cane Creek) took place in Alamance County, N.C., on September 13, 1781, during the American Revolutionary War. It was one of the bloodiest battles of the war. 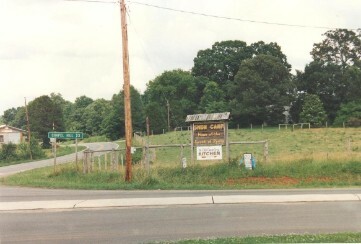 Lindley's Mill stands at what was once a crossroads where the north-south trade route from Hillsborough to Raleigh and the east-west route through the Piedmont crossed. 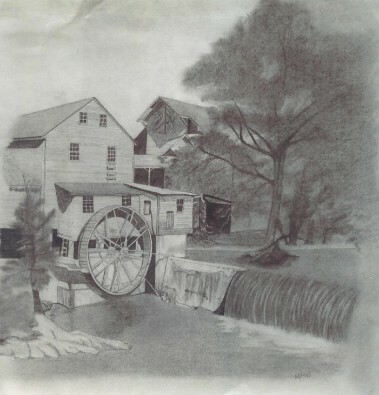 Built in 1755 by Thomas Lindley, the recipient of 1000 acres in land grants from the Earl of Granville, the gristmill was one of five that lined Cane Creek. During the American Revolutionary War, Tories under the command of David Fanning and Hector McNeill captured Governor Burke and thirteen high-ranking Whig officials in Hillsborough on September 12, 1781. They were transporting them down the road to Wilmington where they would be turned over to the British army. 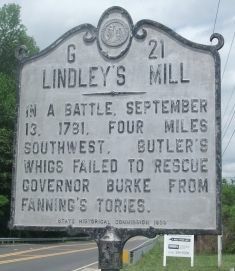 General Butler and 300 North Carolina militia set an ambush at Lindley’s Mill the next day. The elderly McNeill was cut down early in the battle. The British failed to gain any ground against the militia position until Fanning and a company forded the creek and attacked the militia from the rear. This put the militia on the defensive, although they were able to rally. The battle persisted for four hours until the militia were forced to retreat. Two hundred men were killed or wounded in the battle, with Tory force suffering due to the loss of McNeill and serious wounds received by Fanning, who was forced to hide in the woods when his column moved on. The governor was not rescued, and was imprisoned on James Island. The Battle of Lindley's Mill occured one month before Lord Cornwallis surrendered the British Army at Yorktown. After the battle, the militias fled so quickly that both sides had to leave their soldiers where they fell, but the men were not abandoned. Area residents, primarily peace-loving Quakers, buried the dead and out of pure compassion, took wounded men from both sides into their homes and nursed the wounded soldiers. The mill is still in operation, having passed down through the Lindley family for nine generations. The above drawing was done around 1980. The photograph on the other page was discovered in 2000, in Tuscaloosa Alabama at a Wal-Mart! I had to make the photo smaller, but in the original, you can clearly see two windows and a door that has been boarded up. To the right of the mill you can also see the roof of a smaller structure. The barn must have been removed sometime after I drew the picture.